Own the cruise travel franchise ranked #1 in the travel category 14 consecutive years in a row by Entrepreneur magazine. 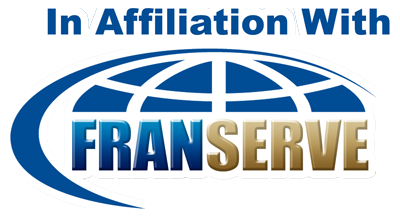 Cruise Planners franchisees earn instant credibility as they are an American Express Travel Service Representative agency. Did you know you could own a franchise business you actually enjoy working? You can love what you do. Cruise Planners is a low-investment business opportunity which yields high returns with no travel experience required. Our home-based business model has a family of over 1,500 franchise owners and is one of the largest, privately-owned, nationally-recognized and continually-awarded travel selling agencies in the country. Become a full-service travel planner selling cruises, hotels, all-inclusive resorts, luxury yacht rentals, vacation home rentals, travel insurance, passport services, shore excursions/day trips, special needs at sea, destination weddings and more! At only a $10,500 investment franchisees go to beautiful Ft. Lauderdale Fla. for an intense 6 day training. Company provides flight allowance, hotel, and evening meals. Significant support provided after training including extensive marketing and technology tools. This franchise has no minimum monthly royalties, no territories, and can be performed either part time or full time from home. Cruise vacations remain one of the most economical forms of vacation travel making this a recession resistant industry. A few more franchisee benefits: Highest commission levels in the industry Turnkey, award winning marketing and advertising programs Lead generation and website programs Enormous buying power and group inventory CPU - our continuous training program Proprietary accounting and customer management software Dedicated support staff This could truly be the perfect franchise opportunity for those candidates in the under $25,000 category.